Radical also existed in a part of the sonnou jyoui ha which was kicked out of Kyoto by coup of August 18. The extremists were planning the plan secretly to defeat the shogunate government. But,the Shinsengumi who knew it quickly rushed into Ikedaya where a part of the sonnou jyoui ha gathered. They said "Goyouaratamedearu", and killed seven people of the sonnou jyoui ha. 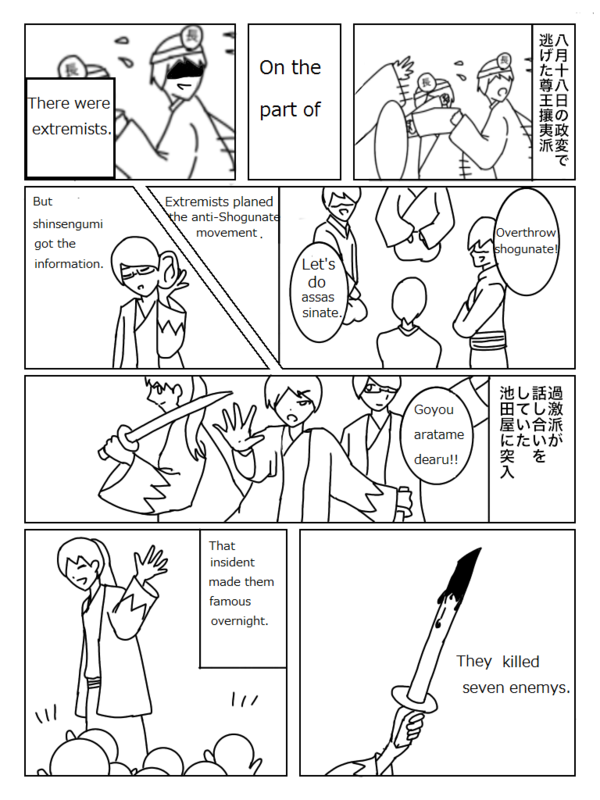 Shinsengumi became famous for Ikedaya incident.